A collection of three fun, creative, hearwarming stories, ideal for children from 4-8 years old, in full colour. Ideal for child who is a reluctant reader. The stories will catch a childs interest and keep him/her glued. I have seen Sheetal grow from a rookie visualiser to a fine Art Director at Enterprise. With this book, I’m delighted to see her blossom into a children’s writer and an illustrator with her own unique style. These delightful stories will not only transport a child to a magical world, a happy blend of Alice’s Wonderland and Willy Wonka, they will do something much more important. I recently read a thought-provoking article that advocates a system of education that encourages inquiry in children over a system that relies on learning by rote. In this,both the timing and the format of this book are just perfect: it doesn’t spoonfeed the morals in these stories to the children; rather, it inspires them to debate, to find the answers for themselves. It motivates them to think. Now which parent wouldn’t want that for his or her kids? 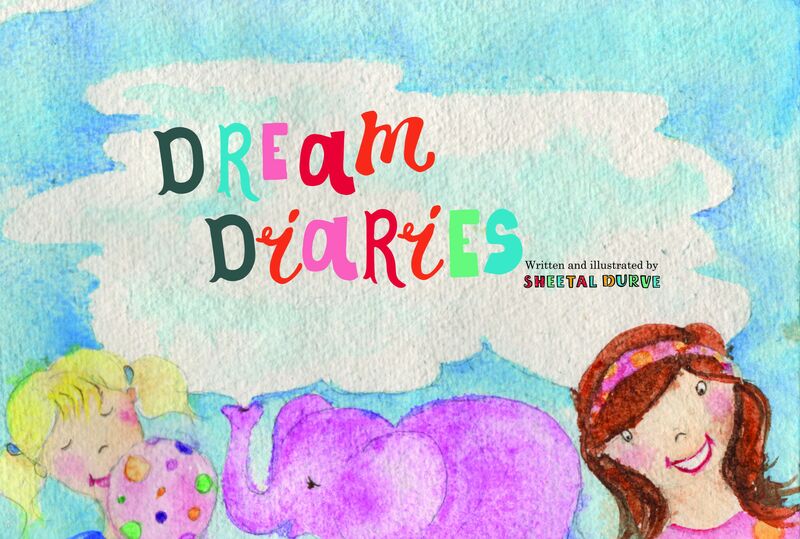 In these stories, the author, Sheetal Durve, does a wonderful job of sparking the imagination and creativity of young readers. Truly unique and special is the way in which she weaves a lesson throughout the stories. In Aruba, she teaches the lesson of empathy and kindness. In The Lollipop Garden, the lesson is that good happens to those who spread happiness, and in The Pink Elephant, children will learn that perseverance and faith can make the unimaginable possible. These lovely stories can be shared with your children time and again, because with each reading your child will be able to apply the lessons to a different event in their lives. They are a beautiful way to provide creative inspiration to your children.